Discover an entirely new genre of skincare with NIOD, Non Invasive Options in Dermal Science. With results-driven, scientifically proven products, NIOD offer sophisticated, next-generation formulations created to improve the integrity and health of your skin. 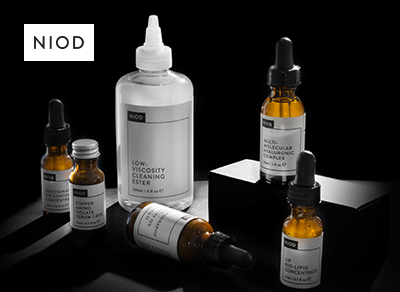 With their best-selling products including Copper Amino Isolate Serum 1% and Photography Fluid Opacity 12%, NIOD offer a wide collection of potent, high-performance, innovative skincare.